1.the unemployed, 2. society. Identify and costs that may result from such a policy. Provides more income, reducing relative poverty and improving living standards. Gives them support in finding the best job. If benefits are low, then they will be forced to get the quickest job they can find. But, this may not be suitable for their skills. Higher benefits enable the unemployed to take more time and find a job which matches their skills. This is also a benefit for society. For example, if someone leaves university, with a degree in astrophysics, we don’t want them working in McDonalds because unemployment benefits are too low to support their job search on leaving university. Basically, frictional unemployment is not a bad thing; sometimes it takes time to find the right job. Low unemployment benefits could fuel social unrest and encourage the unemployed to resort to crime to supplement their income. Unemployment is often associated with a feeling of social alienation leading to riots such as Brixton 1981 and Paris in 2006. If unemployment benefits are low, society may have to spend on other benefits such as housing benefit and child benefit to keep the children of the unemployed out of poverty. Encourage higher wages. Higher unemployment benefits may encourage firms to offer higher wages to encourage people to accept a job. Reduction in other income support related benefits. 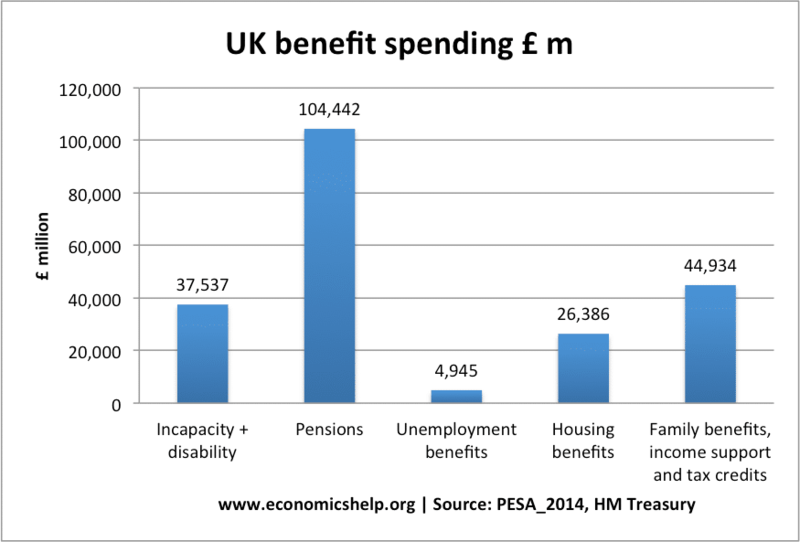 If unemployment benefits are higher, it may enable lower income support / universal credit. Cost to taxpayer of paying for the benefits. However, the level of unemployment benefits is currently quite low relative to other benefits. In the 2014 the public expenditure survey, the total cost of unemployment benefit payments fell from £5.5 bn to £4.9 bn – Claimant count method. It is possible that the claimant count could overstate the level of unemployment because people could collect JSA whilst also having a job. 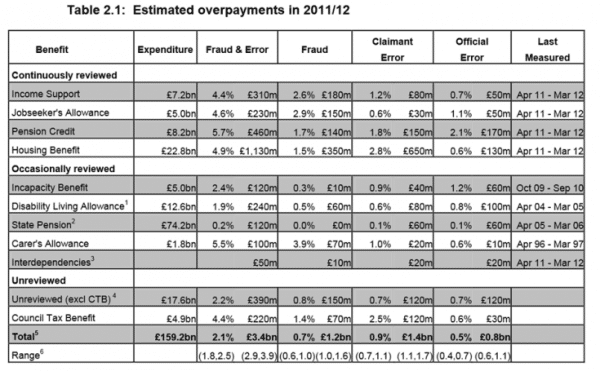 However, the levels of estimated benefit fraud is quite low.